Cutting-edge technologies are changing the way businesses function across all industries, and healthcare is no exception. Whether these new technologies enable a better patient experience through in-room Wi-Fi or provide healthcare personnel with crucial information through patient monitors, Health IT is evolving rapidly. It is critical that hospital infrastructures can support all of the new healthcare technology as well as the guest devices employees, patients, and guests use on the network. Extreme Networks is at the forefront of this evolution. At HIMSS18, we were able to showcase our innovative technology solutions for the healthcare space because for the fifth consecutive year, Extreme was selected to power the network and network analytics for the Intelligent Health Pavilion (IHP). Our teams built and managed the network onsite to ensure all of the demonstrations were connected to the network and operated just as a ‘real’ hospital’s infrastructure would. From our switching to fabric technologies, the Extreme hardware and software drive the network for the IHP. This simulated hospital demonstrates the importance of an efficient wired and wireless network infrastructure from the APs to the data center when implementing IoT-connected sensors, mobile devices and data analytics to avoid bottlenecks and provide reliable coverage 24/7. These mission, patient, and life critical connected devices require an agile, adaptive, and secure network to ensure they are operational, safe, and efficient. Discover how Extreme’s wired and wireless solutions are supporting connected devices in hospital environments in our exclusive tour of the IHP from HIMSS 2018. Your tour guides, Extreme’s Director of Healthcare Solutions, Bob Zemke and Healthcare Solution Architect, Chuck Brooks, will discuss the technologies and trends affecting the healthcare industry and how the role and importance of technology and the network varies across the different units of a hospital. From PACS to X-Ray machines the OR is full of devices connected to the network that need to reliability 100% of the time. The network also enables these surgeries to be transmitted to colleges and other facilities for learning purposes. Like many other industries, Wi-Fi has jumped from being a luxury to a necessity for hospital-goers. Whether it’s passing the time streaming video or having easy-access to post-discharge care information, connectivity is a mission-critical part of the healthcare industry. Security is a huge topic in the healthcare industry, and the need for a secure network for devices is nowhere more true than in the ICU, with patient monitors and infusion pumps connected through the wired and wireless network, a reliable network is crucial. Often times additional infrastructure is required for legacy hospitals, enhancing sporadic Wi-Fi coverage and providing advanced services around location-based communication for asset tracking and control and integrated nurse call solutions. Just about every corner of the hospital needs a reliable network to keep their digital tools running smoothly. Along with the rooms discussed above, Extreme’s wired and wireless solutions keep many other rooms in the hospitals connected as well. See for yourself in our interactive infographic! I know it seems like HIMSS18 was just a few weeks ago, but yes HIMSS19 will be here in only a couple of months. We’re excited and hope to see you in Orlando, Florida February 12-14! For the 6th consecutive year, Extreme Networks will power the IHP and it’s going to be even grander with more demonstrations and new technologies to learn about. 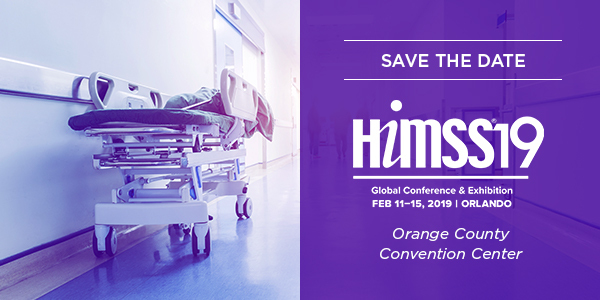 If you’re looking to connect with Extreme at HIMSS19, you can find us in the IHP at booth #8559 or reach out to us sooner!